Canada’s Conservative-minority government domestically designated the LTTE/Tamil Tigers under Canada’s Criminal Code on April 10, 2006. The GOC did not, however, list the many Canadian front organizations for the Tigers, despite the fact that Canada’s anti-terrorism act allows the GOC to designate terrorist groups and their front organizations; in the past, the Canadian Security Intelligence Service has stated that eight front organizations support the Tigers in Canada. “On April 10, the GOC domestically listed as terrorists under the Canadian Criminal Code the LTTE/Tamil Tigers (other listed aliases can be found in the announcement by the Office of the Superintendent of Financial Institutions (OFSI), www.osfi-bsif.gc.ca.) The Tigers are the 39th terrorist group to be outlawed under Canada’s Criminal Code and the first since May 2005.” the US Embassy Ottawa informed Washington. The Colombo Telegraph found the related leaked cable from the WikiLeaks database. The cable is classified as “CONFIDENTIAL” written on April 10, 2006 by the US Embassy Ottawa. “Approximately a quarter of the world’s Tamil population lives outside of Sri Lanka. Canada is home to the largest Tamil diaspora, estimated at roughly 200,000 (see reftel B), and Tamils are currently Canada’s fastest growing ethnic group. The majority of Tamils live in the Toronto area, giving it the largest Tamil urban population of any city in the world including Sri Lanka itself. Experts have estimated that in the 1990s, over 80 percent of the Tamil Tigers’ military budget came from overseas sources, and various reports have estimated that the Canadian Tamil diaspora was a source of between $1-10 million annually. A recent report from Human Rights Watch (www.hrw.org) highlighted the role of Canadian Tamils in funding “The Final War”. In this report, Human Rights Watch focused on signs it had found of extensive extortion by the Tigers within the Canadian Tamil community, listing examples of Tamil Canadians who were threatened both in Canada and on visits to Sri Lanka.” the Embassy further said. official announcement and only one day after the decision. Conservative minority government. End comment. refusal to list the Tigers actually hindered peace efforts. virtual free rein to carry out their activities (in Canada)." alignment with its close allies who have listed the Tigers. or without international cover. End comment. What utter nonsense! The child soldiers they were recruiting were merely defending our homeland against the evil government. Every time they killed civilians through bombings were all done in a form of defense. Did you send your under aged children voluntarily to defend your homeland. There are more able bodied men in Tamilnadu to defend their homeland which is also your ancestral land. Remember you don’t have a homeland in this island. Its time you went back to Tamilnadu with your Sinhala speaking Demelas. Whichever way you look at it you are wrong on all counts. Do you count yourself as a member of human race? Will they arrest Muslims having secret links with Al-Jihad, Muhajirdeen, Al-Quaeda, etc. Some of them are in the Cabient. How are they going to deal with Wahabbism and stop implementing Sharia Laws. What action will MR take on BBS and his siblings engaged in distilling Kasippu. Lord Buddha is crying. 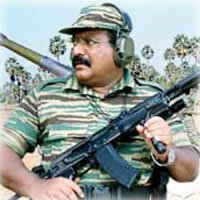 Is there any evidence to suggest SL soldiers are in fact beating up LTTE? Couldn’t it be the other way round or in fact army is beating up their own soldiers given that both members of armed forces and LTTE cadres are no angels. BTW Thiru, have you got any videos of VP & LTTE monkeys blowing up school kids in Colombo? BTW Ben, there were some great action pictures of our Tamil brethren getting beaten, pursued by mobs, even dead bodies, from May 1958 (and at other times too) in the archives at Lake House. I cannot guarantee that they were saved when ‘Friends of Sirima’ burned the place down in 1970. Canada was extremely critical of the Sri Lankan war that pulverised the Tamil Tiger terrorists. Yet it’s own record during peacetime with regard to the Native children is immeasurably worse. Do tamils need Tiger logo to fight for their freedom? No, however they need brain. Sinhala/Buddhists need solution their own mess.